My head could have sunk into the ping-pong table. I was glued to the screen and each pixel-aided movement occurring on it. The setting: Hatch Hall in Columbia, Missouri. The year: Feb. 3, 2002. My 20th birthday. The game: The St. Louis Rams and New England Patriots. The Super Bowl. There I was, watching and hoping the Rams could pull it off. Kurt Warner, former specialist when it came to where the canned green beans were located, now slinging footballs against the mighty Bill Belichick’s defense and this sixth round draft pick named Tom Brady coming out of nowhere, like a bean slicing through a crossfire hurricane. With the wave of Mark McGwire euphoria washing away from the intersection of Walnut Street, the Rams had become the Gordon Gekko big shots of St. Louis sports. A Super Bowl win the previous year, and now possibly a budding dynasty. I was greedy. It was my birthday after all. 20 years old and without a care in the world … well, except for that psychology test on Monday. And then a man named Adam booted a ball through the uprights and the Patriots won 20-17. It was later revealed that a Belichick assistant recorded footage of the Rams practice for the Super Bowl and used it in the big game. Imagine having a deep gash on your arm, and someone pouring salt inside of it. It was a moment of sports fan heartbreak, which every other team in the league experienced that year. It’s what Cleveland Browns fans have become accustomed to. 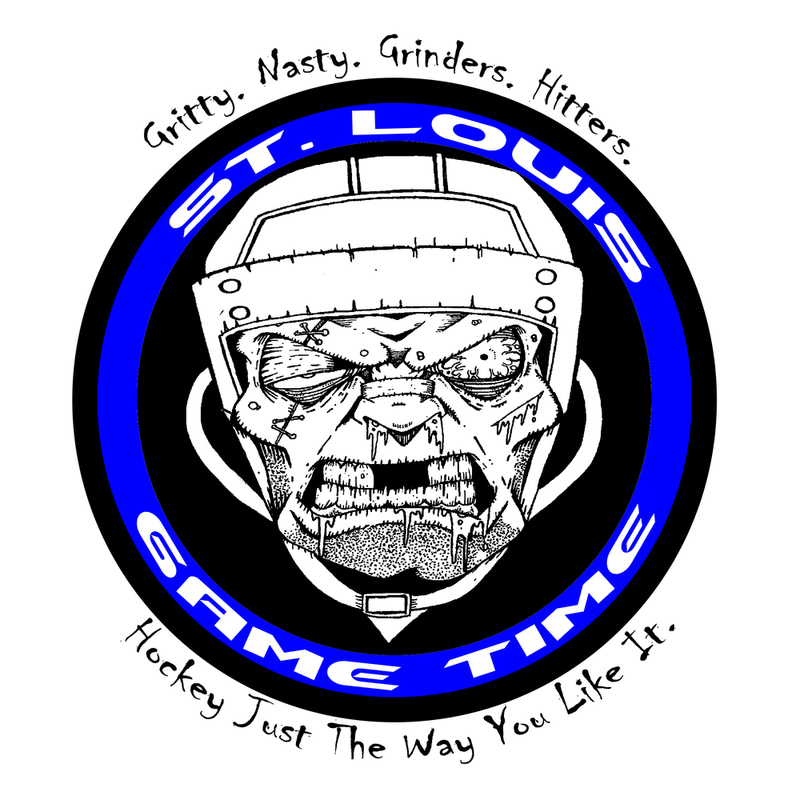 What St. Louis Blues fans know all too well. I was mad, but far from unhappy. Sad, but the opposite of dissatisfied. The NFL cared about St. Louis, and the Rams were still a king for nearly pulling it off. And then Stan, Kevin, Roger, and Jerry ruined it all. Remember the group of thieves in Martin Brest’s Scent of A Woman? The ones who framed poor Chris O’Donnell for the crime on the college campus? These football people could have been their stunt doubles. Stan Kroenke took over the Rams and worked hard to do absolutely nothing to help the Rams improve as a football team, resembling Rachel Phelps from Major League. Kevin Demoff was the con artist sent out around town to spread lies about a plan to stick around. Imagine a friend telling you there’s a party up on the hills, and then you go up there to find am empty field covered in dog excrement. Roger Goodell was the one who actually bought the bogus report handed to him by Kroenke and the league about whether or not St. Louis is a viable sports town. This is the same guy who still to this day doesn’t want to accept that CTE is actually a real problem. Show Roger the scene at Busch Stadium when the Chicago Blackhawks took on the Blues in the Winter Classic, and tell me this isn’t a viable sports town. Get a clue, Roger. Jerry Jones was the mastermind who helped sway the vote of the 32 NFL owners in that room three years ago. When people said the owners would never approve a team to move out of St. Louis, Jones made it possible. He also thought Tony Romo could win a Super Bowl. There’s a lot of talk about whether or not St. Louis football fans should still feel scorned about what happened back in January of 2016, and there have been some great views. ESPN 101.1 radio host Randy Karraker wrote a wonderful piece about his passion for the sport and how the NFL stabbed us all in the back. Bob Costas told St. Louis to get over it. With no disrespect, Bob, you aren’t a true St. Louisian, so please, get back in your place. Here’s how I feel about it. I’ll never forgive or get over what Goodell, Kroenke, and the rest of the depraved did. That kind of wound doesn’t have a suitable suture or medicine. Watching your team lose in the Super Bowl on a walk-off field goal is one kind of pain. A a pain I oddly crave as a sports fanatic and someone get can get romantic and nostalgic about these games. Seeing a group of suits up on a horse not just take a team away from your town, yet spit on the DNA of your city is quite another pain. Since the Rams left, I’ve watched little to no football. If it’s on a television, I look elsewhere. If I hear about the Pittsburgh Steelers, I think of a time when I used to like the game. For me, and thousands of others, it got personal, and that’s not an easy road to walk back from. Where am I watching the Super Bowl on Sunday as a celebrate my 37th birthday? The answer is simple. I’m not going to watch it. I’ll spend the night watching old movies, like The French Connection, The Longest Yard, or perhaps Hoosiers. I could take in some True Detective on HBO or Shameless on Showtime. I may watch John Wick again, because I can’t get enough of a sophisticated hitman with a moral code. There’s heart, grace, and class in those productions. I could just pour some bourbon, light a cigar, and laugh as hard as I can with my dad and wife at a table in Princeton Heights. It’s not about making sure the NFL doesn’t get my money or a huge pride factor. I simply don’t care about the game or who wins. A sliver of me wants to see Tom Brady win because old lions beating the young guns always makes for a good movie, but not enough to watch even a series or highlights. I’d rather watch Brady’s friend, Mark Wahlberg, in Peter Berg’s Lone Survivor. The care I had for the NFL back in 2002 is now long gone, dismantled slowly but surely by mistrust, betrayal, and a complete lack of class bordering on hatred. If there’s one thing you don’t mess with or mislabel, it is my city. A place I’ve called home for my entire life. The date: Feb. 3, 2019. The game: Rams and Patriots. The Super Bowl. No thanks, NFL. As a gangster once told a man clearly out of his wits, I got to turn my back on you. You did the same to me years ago. Maybe I’ll play some ping-pong.